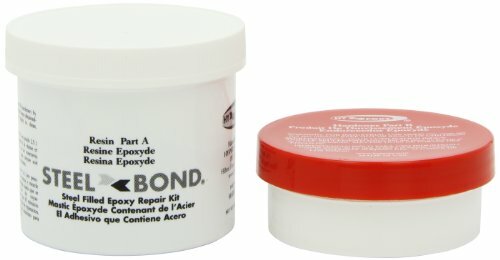 Steel filled putty epoxy repair kit. A two component epoxy formulation highly filled with carefully selected steel particles, modified curing agents, and special high quality additives to provide maximum strength, durability, and ease of application. Will adhere to vertical surfaces and is easily machineable with standard metalworking tools and equipment. Universally used for repairing pipes, tanks, valves, pumps, engine blocks, water jackets, radiators, etc. A permanent, non-shrinking metallic filler for blow holes in castings. Ideal for building up metal surfaces. Widely used for fast, inexpensive, but accurate drill jigs and placement fixtures. If you have any questions about this product by HY-POXY, contact us by completing and submitting the form below. If you are looking for a specif part number, please include it with your message.